I first have to start out by saying... "I can't believe somebody didn't think of this earlier!". We already know that algae is one of the best sources for oil. Algae produces 100x more oil per acre than soybeans and 10x more oil per acres than the next best thing - jatropha. And now, David Sieg is telling us that you can make ethanol from the leftovers after you extract all the oil?! That's a lot of energy extracted from just one small acre of algae! It's no secret that entire countries run on ethanol. Brazil is almost totally self-sufficient when it comes to it's transportation energy needs. That's why they are called the Saudi Arabia of ethanol. Most of the vehicles in Brazil run on 100% ethanol or E100. They produce their ethanol from sugar cane and use the stalks to burn for heat in the distillation process. US ethanol producers mostly use corn as a feedstock which only produces about half the ethanol per acre that sugar cane does. 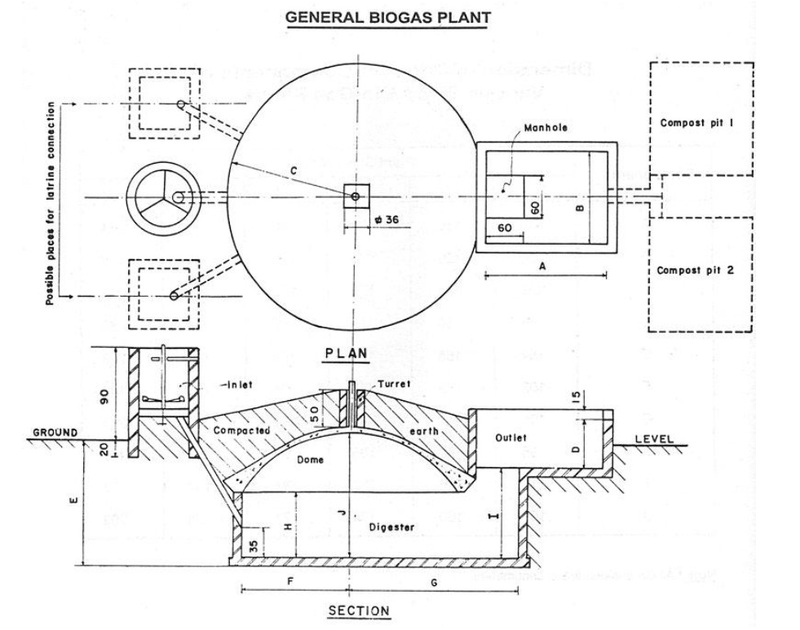 US producers also use electricity or natural gas in the distillation process further diminishing the ROI. Heck... we can't even grow sugar cane in most of the US, so how are we going to compete? Maybe algae is the answer! 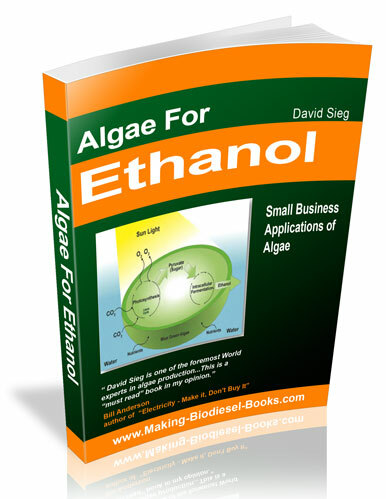 And David Sieg is the man with the answers to all your algae questions. He is one of the foremost World experts in algae production. He has written many books on the subject in recent years. Most of his subject matter was about algae for oil production. The oil could be extracted and used to make biodiesel. This oil production process in itself is 10x more efficient than the nearest source crop. Now we are learning from this new book, that you can take the byproduct of the oil production process and make another fuel to run our gas guzzling cars. Did you know that if you buy a Flex Fuel Vehicle (FFV), it's good to go to run on E85 ethanol? A lot of cars manufactured today are FFVs. You may be driving one and not even know it. With the economy going as it is, and I expect it to get much worse before it gets better, you may want to seriously look into Made in America algae ethanol as a source for fuel in the near future. It just may turn out that you are still driving when others are parked in their driveway. This is a "must read" book in my opinion.